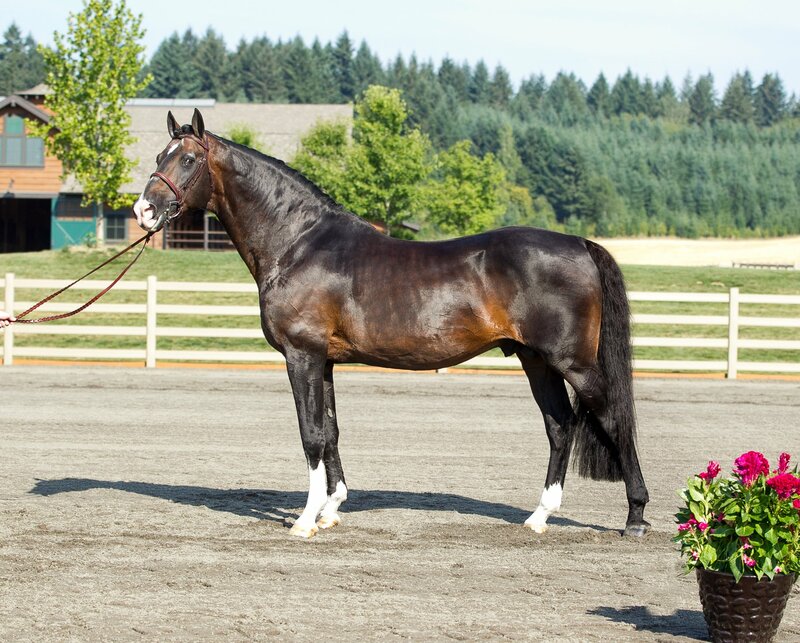 Sought after His Highness & Rotspon Bloodlines; Proven Dressage Competitor & Sire. Hampton is the carbon copy of his famous sire His Highness. 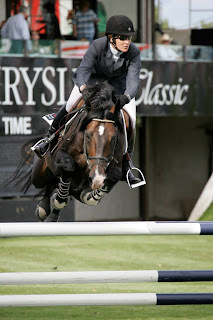 His Highness was the Champion of his Hanoverian stallion licensing, his stallion test and the Danish stallion licensing. 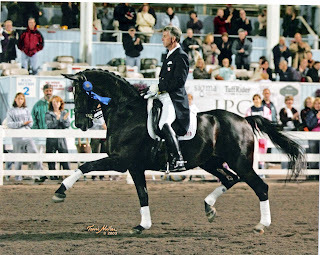 He was a successful dressage competitor and sire, producing 17 licensed sons, over 20 St.Pr. mares and successful offspring to numerous to mention. Hampton, as a 3-year-old, was Reserve Champion of his 70-Day Stallion Test in Schlieckau with the overall score of 134.24. 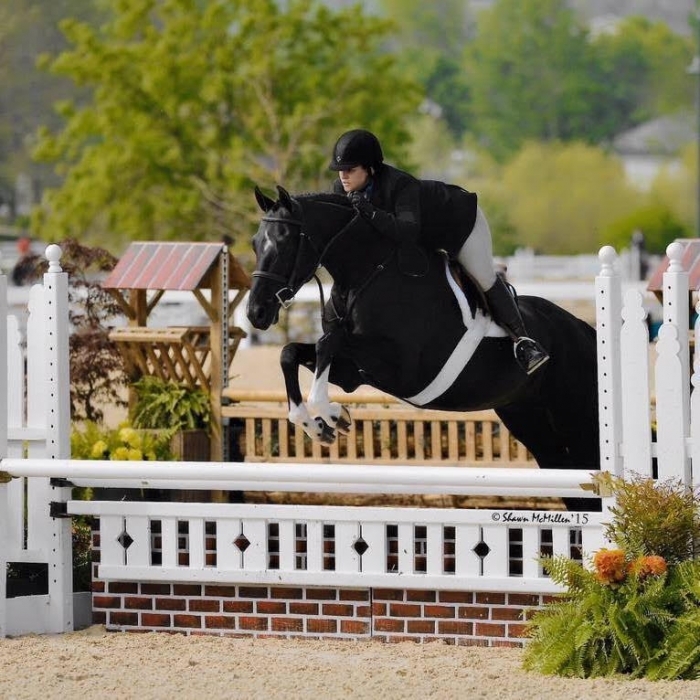 He competed and won several young horse classes with high scores. 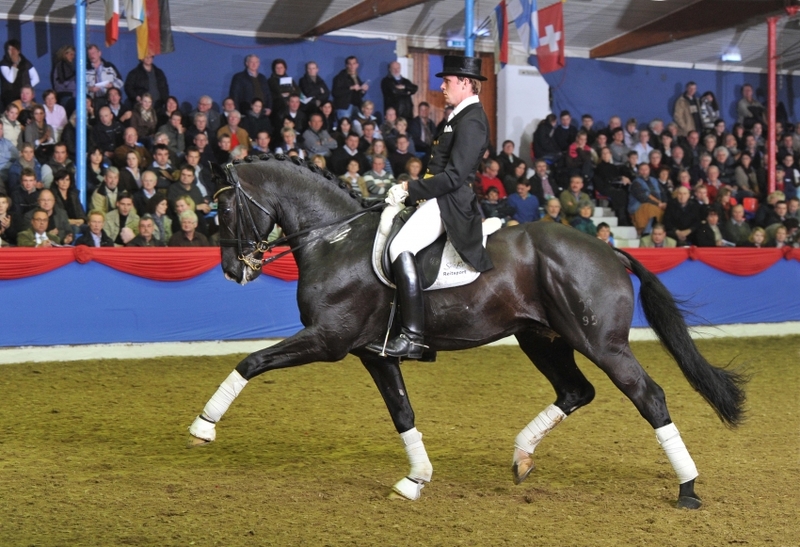 In 2009 Hampton qualified for the Bundeschampionat in highly competitive shows. Hampton was successful up to Inter. I and qualified for the finals of the 2013 Nürnberger Burgpokal. 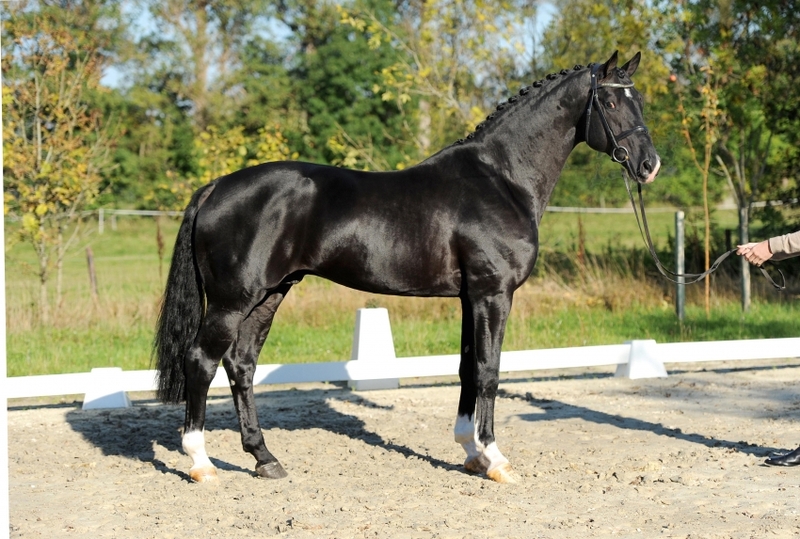 He is bred out of an exquisite dam line which combines success in breeding and sport. Hampton’s dam, SPS Red Chili, produced a second licensed son. Granddam SPS Carina is the full sister of renown stallion Compliment and is dam to the licensed stallion Lesodoro. SPS Carina and daughter SPS Red Chili won as a family in the 2007 and 2009 prestigious Herwart von der Decken Shows. This damline is Hanoverian royalty, (the Ahnenhold family) known for producing internationally successful horses and licensed stallions. Damsire Rotspon, by the legendary Rubinstein I, was Champion of his stallion test and has sired an impressive 21 licensed stallions. 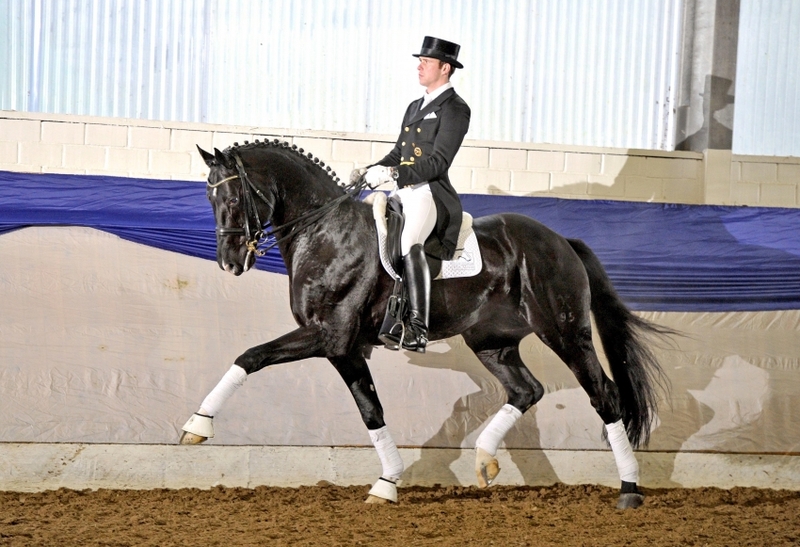 Rotspon and Grand Prix dressage stallion Rubinstein I are both noted for passing on excellent rideability and trainability. 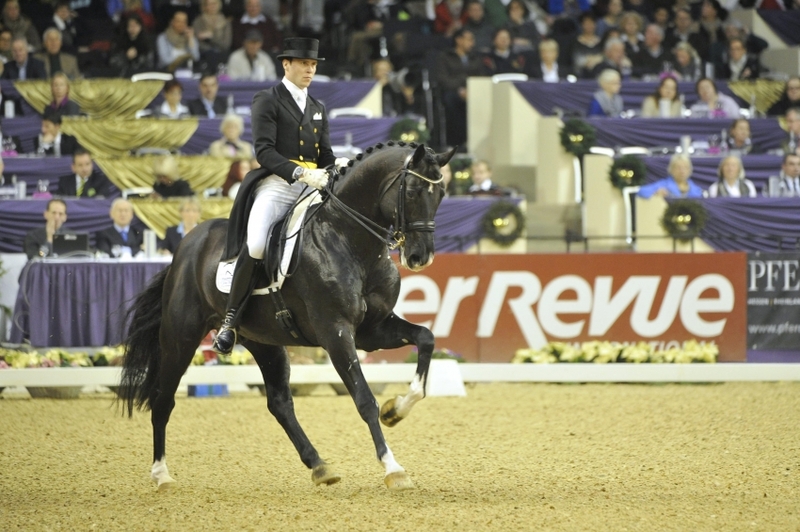 For two years in a row, Hampton placed within the top 10% of German dressage sires with a score of 148 points in the estimated breeding evaluation by the FN. Hampton’s offspring have exceeded expectations, producing elegant types with seemingly endless potential. 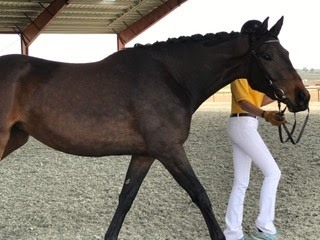 Hampton has sired winning States Premium mares, Verden auction horses, and his licensed son Hampton’s Junior competed successfully in young horse classes. In the U.S., Heirloom is competing successfully in the hunter ring. Owner Louise Leatherdale has been honored twice as USDF Dressage Breeder of the Year, 2016 and 2017. Hampton is approved AHS, HV, ARS, GOV, Danish and Swedish registries. An elegant colt by Hampton out of a mare by Worldly. Heirloom (Hampton-EM Something Royal/Sir Donnerhall. Breeder: Marcia Boeing, Owner: Katie Morgan. Heirloom is currently competing successfully in the Hunters. Special consideration given to performance mares, SPS, Elite, Premium, multiple, and return mares. I am interested in learning more about Hampton.